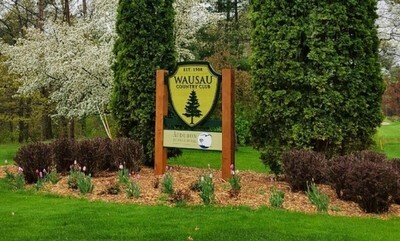 Wausau Country Club offers its members and their guests the most complete private club experience in northern and central Wisconsin. Championship golf with four sets of tee boxes designed to challenge golfers of any skill level. A fully stocked golf shop, complete with the latest lines in golf equipment and apparel for men, women, and children. Two PGA Class A golf professionals on site. New for 2018 practice short game area and practice tee available to all golf members at no additional charge. Excellent dining facilities with private rooms able to accommodate business functions of many sizes. A heated swimming pool, complete with shower and changing facilities. Poolside food and beverage service available. Fully appointed locker rooms, complete with cherrywood lockers, towels, personal amenities, and shoe service. Golf leagues available for men, women, and couples. One of the most comprehensive junior programs in the area. In addition to these fine arrangements, golfing members at Wausau Country Club are also automatically enrolled in the Troon Golf Advantage Program. This program provides an opportunity to secure tee times at many of Troon Golf’s world-class courses at very special rates. Benefits include specially reduced rates at over 40 Troon Golf managed facilities from Troon North Golf Club in Scottsdale to The Revere Golf Club in Las Vegas and the Makai Golf Club at Princeville in Hawaii. For detailed information on Troon Advantage, including rates, please visit www.troongolf.com and click on "Guest Programs". Being a golf member at the Wausau Country Club also includes being a part of the Troon Privé program. Members of Troon Privé managed clubs have access to extraordinary golf and lifestyle benefits around the world! Qualified members receive reciprocal access to other private clubs in the Troon portfolio at a preferred Privé Privilege rate. Ask us about our great member referral program!